What is your portfolio’s beta? Even if you aren’t aware of your portfolio’s beta, you must be knowing if it is below 1 or above 1. Well, if you do not know your portfolio’s beta then you should immediately check it. What exactly is this highly statistical term – “Beta” ? Beta is a measure of systematic risk. Systematic risk, also known as the market risk, is the risk inherent to the entire market and thus it is not diversifiable. Well, Beta shows you the tendency of a stock’s returns to the general market swings. It goes like ~ How much does a stock move in response to a 10% movement in the market? You don’t have to dive into statistics to know beta. Beta for most stocks is available on the internet and is a click away! A portfolio which has a single stock has a beta equal to the beta of that stock. 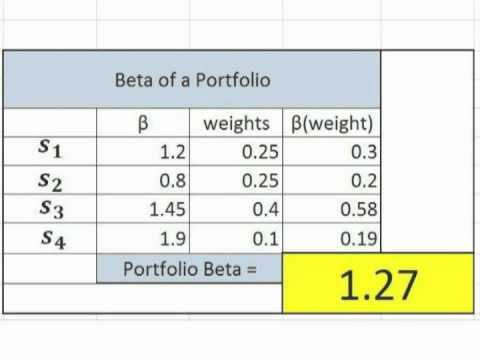 A portfolio of more than one stock has a beta equal to the weighted average beta of all stocks. The portfolio beta shows you the returns of the portfolio against the swings in the market. Let’s assume that your portfolio has a beta of 1.5, what does this mean? This means that a 10% rise in the general market is expected to trigger a 15% rise in your portfolio (Roughly). You can use a simple excel sheet to keep a tab of your portfolio’s beta. How to use the portfolio beta? 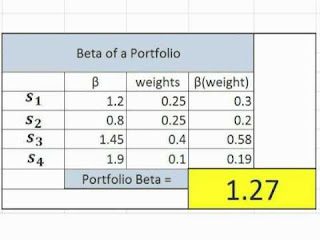 Portfolio beta can be extremely useful for long term investors to protect downside and generate returns. If you, as an investor, feel that the markets are near a top or at stretched valuations then you can go for a low beta portfolio (Less than 1). When the market corrects, your portfolio will fall lesser than the market. Similarly, if you feel that the markets will rally sharply then you can go for a high beta portfolio. In this way, your portfolio will rise faster than the market. Low beta stocks have outperformed high beta stocks in the long run as proven by many studies globally. You can find many interesting research papers on this topic from Harvard, NYU-Stern and other university papers. If you are a serious investor and want to make high returns sustained over a long period of time, then you cannot afford to overlook portfolio beta! 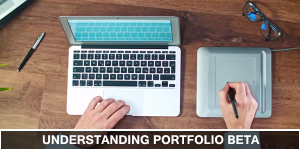 The allocation of different stocks in our portfolio varies from 2% to 14% of the portfolio. And this has helped us generate very high risk-adjusted-returns for our clients over the last few years! We adjust the portfolio beta using the right asset allocation techniques. Some investors are of the view that a Beta of 2 can be used as a leverage for better returns. 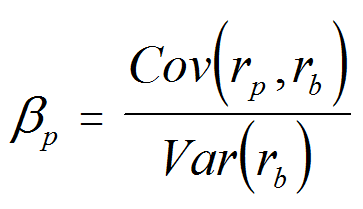 As in, you construct a portfolio with a beta of 2 and use this for generating higher than market returns. However, studies show that a Beta of 0.5 can outperform the portfolio with a beta of 2. Investors should study their portfolio beta regularly, just like they study the quarterly announcements of the companies that they invest in.